As well as keeping the intuitive operability of previous models using hard keys and rotary knob, the MT9085 has been upgraded with a wide, 8-inch, color, LCD touchscreen. The Fiber Visualizer function has also been taken to the next stage with at-a-glance confirmation of the optical fiber transmission path. 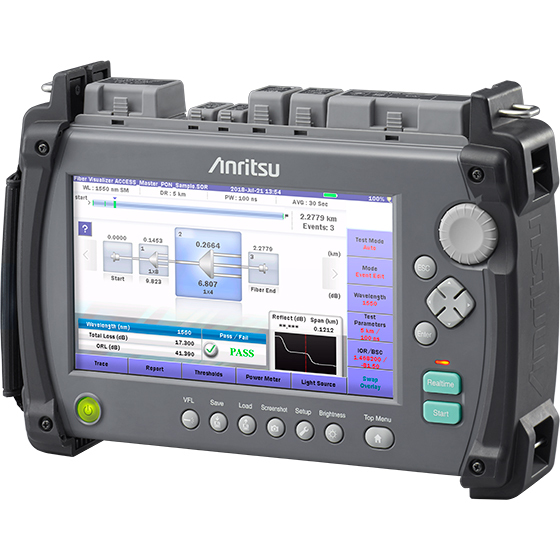 With a built-in light source and power and loss measurement functions, the all-in-one MT9085 series is ideal for confirming the status of optical fiber installations and fault conditions. Optical fiber end-face inspection uses an external fiberscope option (sold separately) to display the condition of the optical connector ferrule end face on the screen of the MT9085 main unit. Optical fiber end-face inspection is important because not only do dirt and scratches on the ferrule face have a major impact on optical fiber circuit transmission quality, but they also prevent accurate optical pulse tests and measurement of optical loss and power. UPDATED RF Test Solution is added. 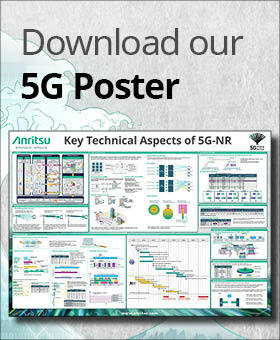 Anritsu Solutions for 5G Mobile Network Installation & Maintenance. The CMA5 series (Optical Loss Test Set/Light Source/Optical Power Meter) offer superior accuracy and reliability for evaluating a wide range of optical devices and systems including WDM. The CMA5 series (Optical Light Source / Optical Power Meter) supports measurement of optical power and loss of wavelengths used by MM and SM fiber installations. 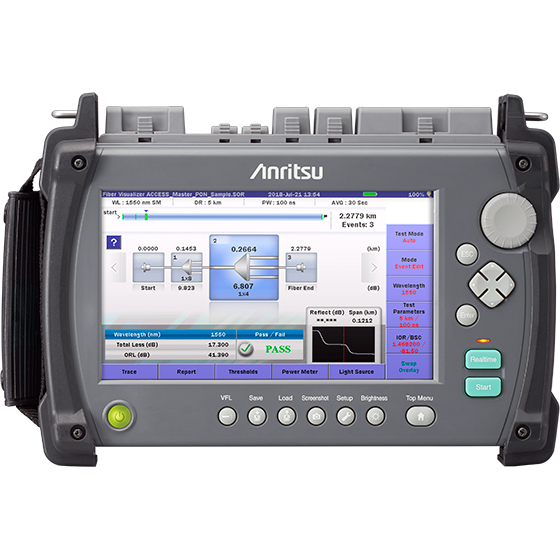 Connecting the G0306B to the Network Master MT1000A/MT1100A series, ACCESS Master MT9085 series, Network Master MT9090A (μOTDR module) series or a Windows® PC displays provides a safe way to view, analyze and document connector end face condition and quality.